PanARMENIAN.Net - In connection with the Nagorno Karabakh conflict, there are over 4,500 missing people, both military and civilians, registered by the International Committee of the Red Cross Delegations in Yerevan and Baku and its mission in Karabakh (Artsakh), the ICRC revealed in a statement on August 30 - the International Day of the Disappeared. The day aims to raise awareness of governments, communities, media and public worldwide about the plight of people who went missing in conflicts and other circumstances, and the needs of their families. With 24 years passed since the signing of the ceasefire agreement on the Karabakh conflict, thousands of families of the missing are still waiting for news of their loved ones. The ICRC acts as a neutral intermediary to support efforts of the conflict sides to determine the fate of those persons. 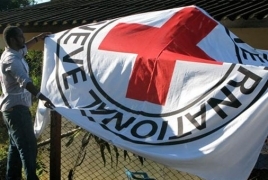 In connection with the Karabakh conflict, there are over 4,500 missing people, both military and civilians, registered by the ICRC Delegations in Yerevan and Baku and its Mission in Karabakh. More than 400 of them were registered in Armenia. Since 2014, the organization has been collecting biological samples from the close relatives of the missing. In the future, in case of exhumation, these samples will serve as a complementary tool in identification of human remains. The ICRC gives support to relatives of the missing by helping them improve access to medical, legal and administrative services. The committee provides economic and psychosocial assistance, and help with finding ways to commemorate their missing relatives and to sensitize communities around them. The ICRC is a neutral, impartial and independent humanitarian organization whose exclusively humanitarian mission is to protect the lives and dignity of victims of armed conflict and other violence. The organization has been carrying out humanitarian work in the region related to the Karabakh conflict since 1992.